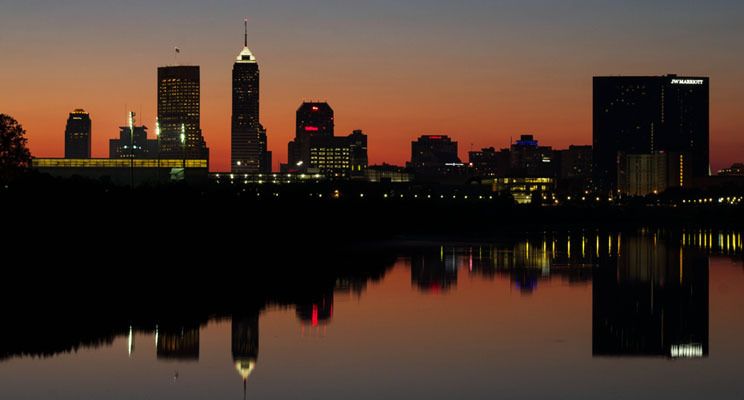 Employers that are either located in Indiana or hiring Indiana residents must abide by the Federal FCRA, and applicable Indiana state employment laws. This page was created to provide a simple explanation of what an end-user of a background screening report (also known as consumer report) can use in order to be in compliance with Indiana state laws. This page also contains steps an end-user must take to stay in compliance with Indiana state laws. For more detailed information on Indiana state laws, please consult your legal counsel. “UNDER IC 24-5-24, YOU MAY OBTAIN A SECURITY FREEZE ON YOUR CONSUMER REPORT TO PROTECT YOUR PRIVACY AND ENSURE THAT CREDIT IS NOT GRANTED IN YOUR NAME WITHOUT YOUR KNOWLEDGE. THE SECURITY FREEZE WILL PROHIBIT A CONSUMER REPORTING AGENCY FROM RELEASING ANY INFORMATION IN YOUR CONSUMER REPORT WITHOUT YOUR EXPRESS AUTHORIZATION OR APPROVAL. THE SECURITY FREEZE IS DESIGNED TO PREVENT CREDIT LOANS AND SERVICES FROM BEING APPROVED IN YOUR NAME WITHOUT YOUR CONSENT. WHEN YOU PLACE A SECURITY FREEZE ON YOUR CONSUMER REPORT, WITHIN TEN (10) BUSINESS DAYS YOU WILL BE PROVIDED A PERSONAL IDENTIFICATION NUMBER TO USE IF YOU CHOOSE TO REMOVE THE SECURITY FREEZES OR TO TEMPORARILY AUTHORIZE THE RELEASE OF YOUR CONSUMER REPORT FOR A PERIOD OF TIME OR TO A SPECIFIC PERSON AFTER THE SECURITY FREEZE IS IN PLACE. A SECURITY FREEZE DOES NOT APPLY TO PERSONS OR ENTITIES LISTED IN IC 24-5-24-11. IF YOU ARE ACTIVELY SEEKING CREDIT, YOU SHOULD UNDERSTAND THAT THE PROCEDURES INVOLVED IN LIFTING A SECURITY FREEZE MAY SLOW YOUR OWN APPLICATIONS FOR CREDIT. YOU HAVE A RIGHT TO BRING A CIVIL ACTION AGAINST SOMEONE WHO VIOLATES YOUR RIGHTS UNDER IC 24-5- 24".